There may not be a science to putting together the perfect girls weekend, but there is definitely an art! And the ideal getaway for a group of friends looking to relax, recharge, and indulge can be found in the beautiful Windermere valley. This striking location, ringed by mountains and centering on a serene lake, is peaceful and relaxing, the pace of life iscalmer, and there is a feeling that you can take things slower, breathe deeper, and soak it all in. If soaking it all in involves great food and drink, unique shopping, and the chance to take in some local colour, so much the better! The location, the food, the people, and the atmosphere of the Kicking Horse Café can not be matched. But most of all, it’s all about the coffee! I dare you to find better anywhere. Located on the road into Invermere, next to Kicking Horse Coffee’s 60,000 square foot production facility, this friendly café feels like the center of town with a steady stream of locals and tourists finding their way through the front doors (do not be daunted by a long lineup—it’s worth the wait!). Samosas, baked treats, sandwiches, and soups are all on the menu, and fresh sushi is brought in daily from local favourite Fubuki. 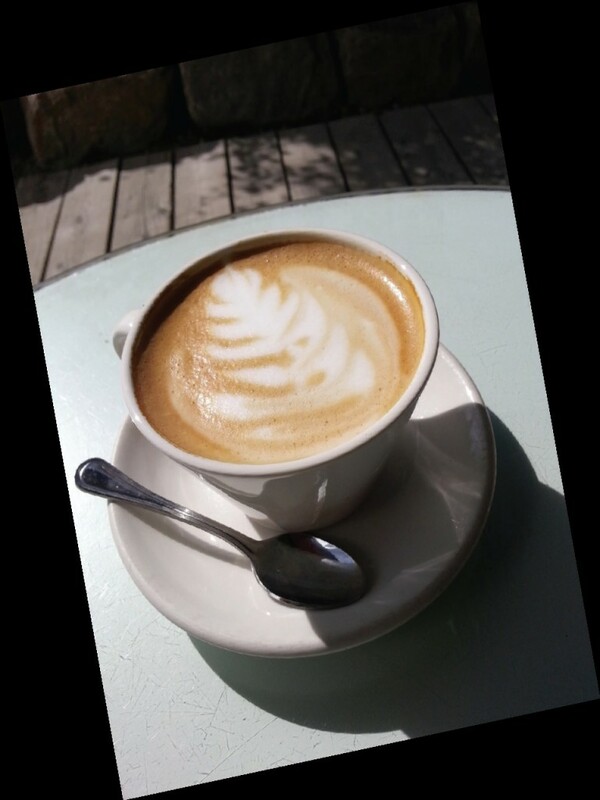 Grab a quick hit of caffeine or, better yet, settle in on the sunny patio, indulge in some delicious food and drink, and watch the world go by. 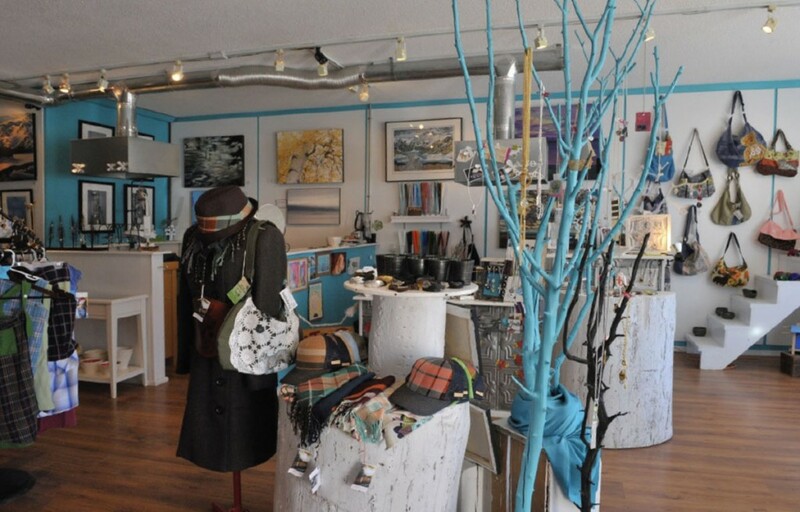 The vibrant artistic community of the Columbia Valley is well represented at this family owned gallery. 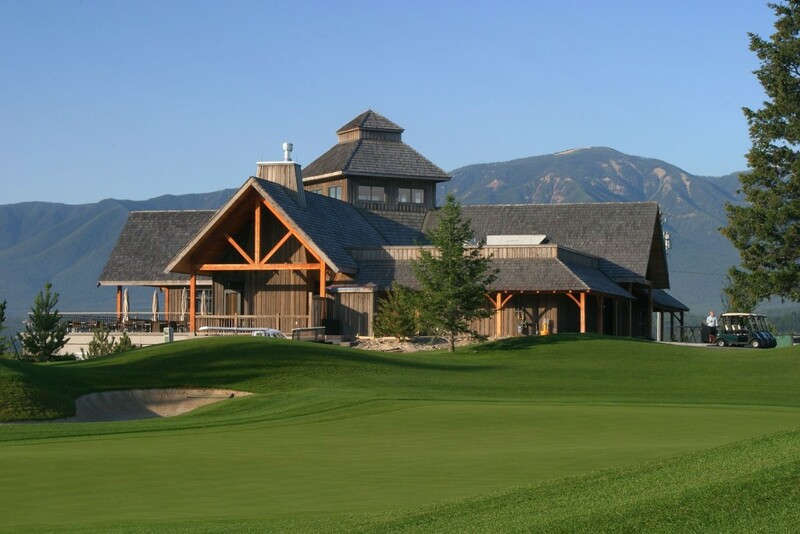 It is located on Athalmer Road on the way into Invermere. 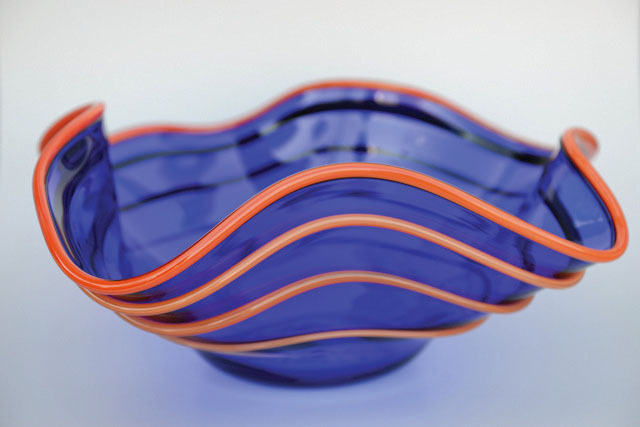 Beautiful glass art and jewelry is on offer from a number of local artists, as well as unique metal and clay pieces. You may be lucky enough to stumble across a glass blowing demonstration in the “hot box,” typically taking place in the spring and fall. 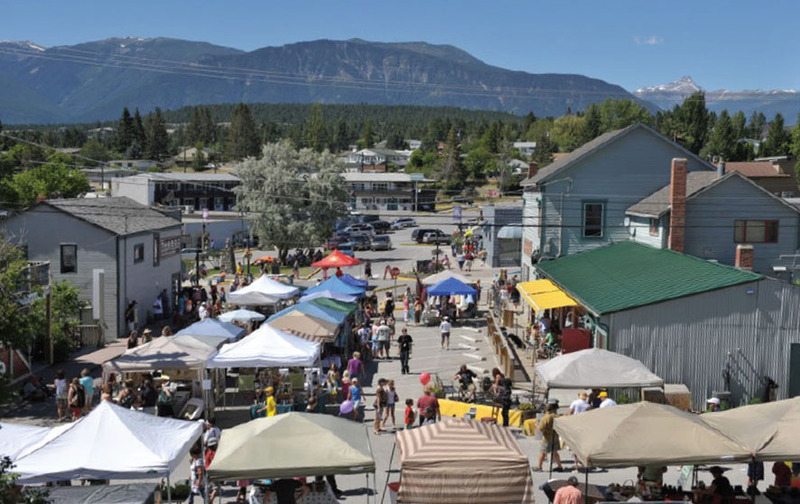 This superb farmer’s market is open on summer Saturdays from 9 am-1 pm on 12th Avenue and 6th Street in downtown Invermere. You’ll want to arrive early, bring plenty of shopping bags, and allow a few hours to take it all in. The market includes more than 50 vendors of everything from ceramics, jewelry, photography, and woodworking, to prepared foods, fresh baking, and of course a wide variety of outstanding local produce. Whether you’re looking for some tasty snacks for the weekend, or to put together a gourmet meal, this market has you covered. If you’ve ever looked at a beautifully painted antique shelf, dresser, or even simple wooden crate and thought “I wish I could do that,” this is your place! The Painted Porch is full of gorgeous shelves, signs, stools, and other furnishings to buy for your home or admire for inspiration. Even better, they offer painting workshops so you can learn to make your own unique pieces. 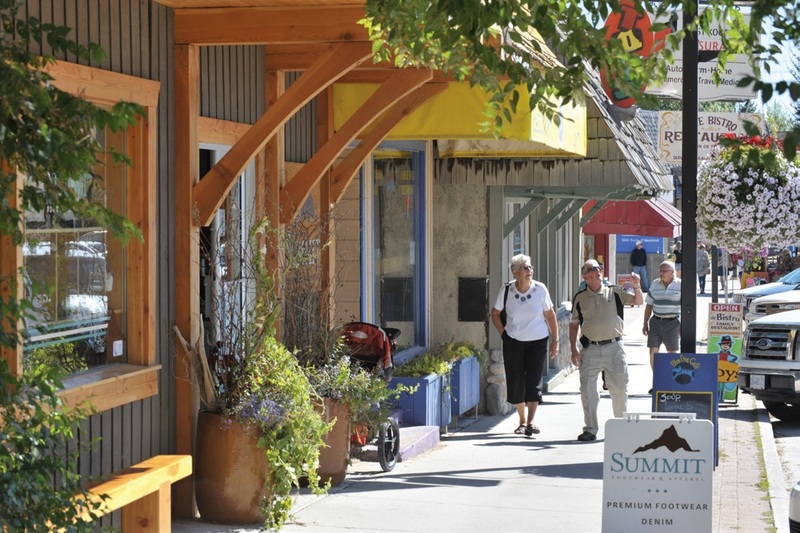 This local treasure moved to a new location on 6th Street in downtown Invermere early in 2015, and is open Thursdays-Sundays, 10 am-4 pm. In a picturesque region filled with beautiful scenery and great restaurants, the Eagle Ranch Resort stands out. The view from their clubhouse patio is out of this world, with an impressive vista of the surrounding mountains and sparkling Lake Windermere. It’s the perfect setting for lunch, cocktails, snacks, or a multi-course dinner in the Rustica steak house. The food is delicious, the service is warm and inviting, and you’ll be planning your next visit before you’ve even left. A girl’s weekend tradition, is not all about the shopping and eating (although it may be all about the beverages!). So visit a local Windermere watering hole like The White House. Brought to the area in 1900 as one of the original family homes in town, the White House later operated as a hotel before being converted to a beer parlour in the 1940s. Today it still stands as a place where everyone may not know your name, but all are welcome. I love a joint where you may be one of only a dozen people sipping a drink, chatting, or perhaps there is a packed house complete with a live band and bouncer. This is your opportunity for some local colour and a spontaneous experience. And face it, any pub with a good old fashioned jukebox is a must!